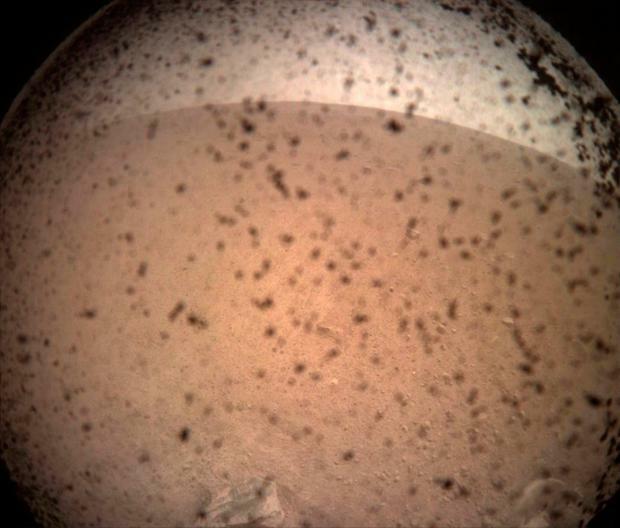 Nasa has released the first image of the spacecraft InSight from the surface of Mars, after it successfully reached the planet after almost seven months travelling through space. The Mars Odyssey orbiter relayed images of the spacecraft from its landing site, known as Elysium Planitia, at 1.30am GMT. The US space agency tweeted one photograph, showing part of the InSight spacecraft and the Martian surface in the distance. The spacecraft took the image of itself from the red dusty planet, arguably making it the first selfie on Mars. The receiving of the images signals that InSight's solar panels, known as solar arrays, have now successfully opened, meaning it is able to collect sunlight and recharge its batteries each day. Tom Hoffman, InSight's project manager at Nasa's Jet Propulsion Laboratory, said: "The InSight team can rest a little easier tonight now that we know the spacecraft solar arrays are deployed and recharging the batteries. "It's been a long day for the team. "But tomorrow begins an exciting new chapter for InSight: surface operations and the beginning of the instrument deployment phase." Using InSight's robotic arm, which has a camera attached, the mission team will be able to take more photographs in the coming days, Nasa has said. This will help engineers to assess where to install the spacecraft's scientific instruments, which will be able to start sending back data to Earth within two to three months. 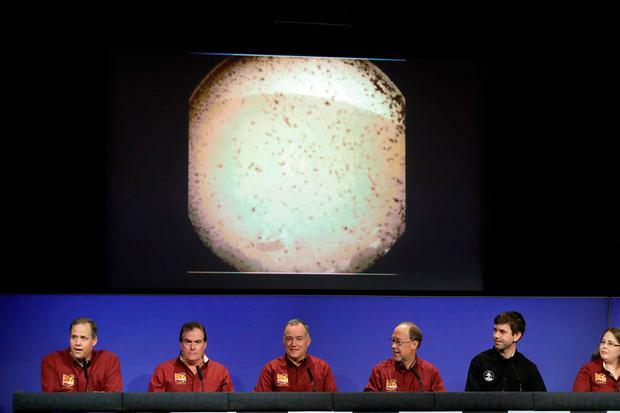 The InSight lander touched down on Mars just before 8pm GMT on Monday, surviving the so-called "seven minutes of terror", a tricky landing phase for the robotic probe, travelling at 13,200mph through the planet's thin atmosphere which provides little friction to slow down. American space agency Nasa's 814 million dollar (£633 million) two-year mission aims to shine new light on how the Red Planet was formed and its deep structure, by mapping its core, crust and mantle. InSight arrived on Mars's Elysium Planitia area north of its equator, described as an ideal spot for its flat, rockless surface. 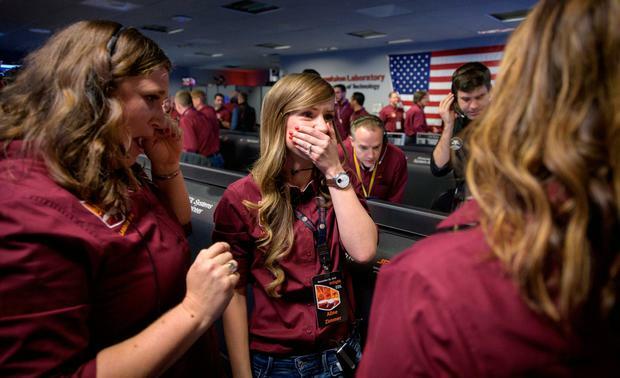 It is the first attempt to reach Mars in six years. Only 40% of missions to the planet have succeeded and all have been US-led. Three UK-made seismometer instruments are on board InSight, part of a £4 million UK Space Agency effort to measure seismic waves. 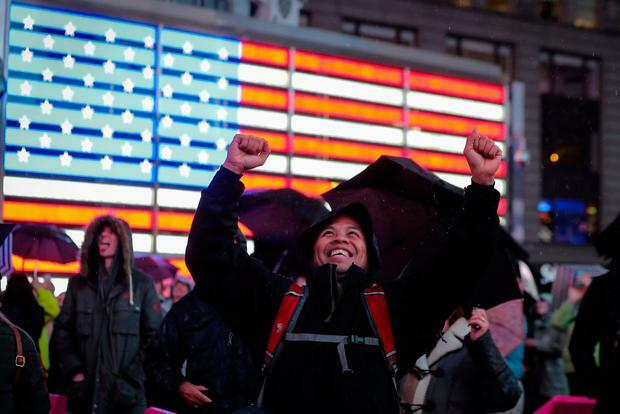 Scientists from Imperial College London and the University of Oxford who created the instruments will be based at Nasa's Jet Propulsion Laboratory in California to assist with the study, including selecting the best spot for the robot arm to place the seismometer. "The UK scientists and engineers involved in this mission have committed several years of their lives to building the seismometer on board, and the descent is always a worrying time. "We can now look forward to the deployment of the instrument and the data that will start to arrive in the new year, to improve our understanding of how the planet formed."